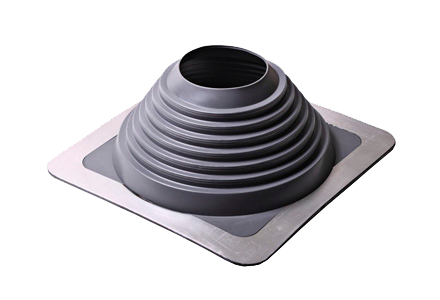 Effective and durable solution for roof sealing when installing chimneys, ventilation systems, electrical outlets, TV antennas, masts. 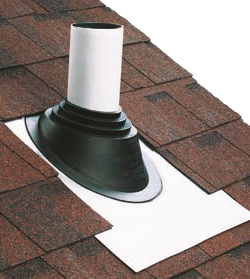 Used to seal the roof during installation: chimneys, fireplace outlets, ventilation systems, electrical outlets, TV antennas, masts. 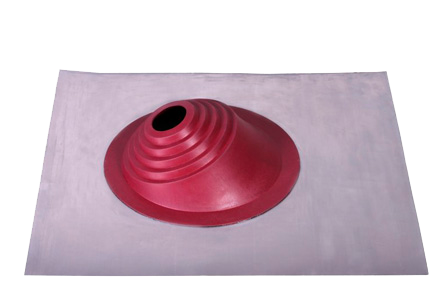 Applicable for all types of roofs: profiled metal surfaces, traditional metal roofing, clay and sand-cement tiles, soft bituminous tiles, fiber cement sheets, slate. 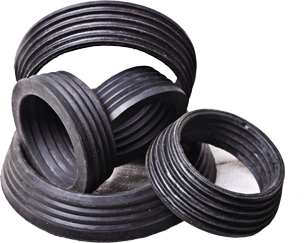 ▶ Thickness of products 3 mm: withstands Russian snow and cold winters. 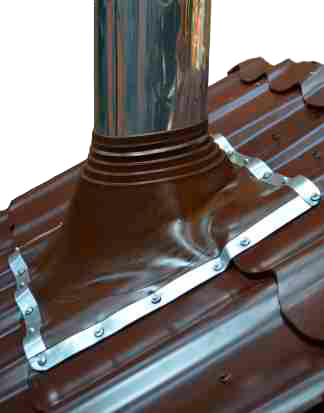 Due to the elasticity of the material, the sealant fits snugly against the roof of any configuration, creating an ideal tightness, regardless of the location of the pipe, dampening its vibration and displacement caused by expansion and compression, as well as the pressure of the mass of snow accumulating on the roof surface. 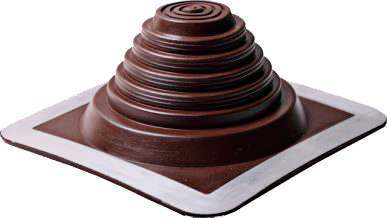 For roofing of metal profile, flat, membrane, roll, mastic roof. The permissible angles of the roof inclination are from 0° to 20°. 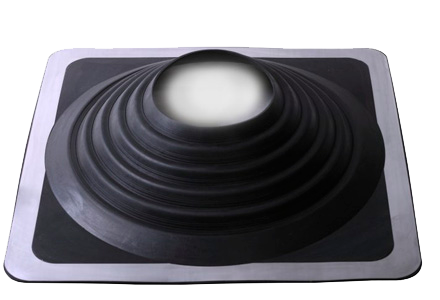 For roofing of flexible, ceramic, slate shingles, from composite materials, ondulin, slate. Permissible angles of the roof inclination from 10° to 45°. 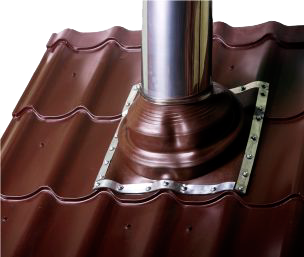 For the roof of the metal profile, metal roofing, seam roof. The permissible angles of the roof inclination are from 0° to 45°. 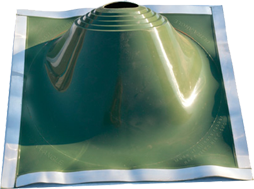 Especially for the roof of metal, metal, flanged roof. Permissible angles of the roof inclination from 10° to 45°. 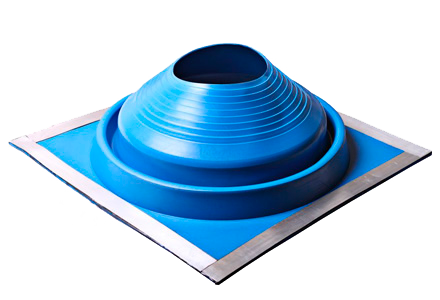 Especially for the roof of metal, metal, flanged roof. The permissible angles of the roof inclination are from 20° to 55°. Especially for sealing the passages of pre-insulated pipelines.